For a fun summertime snack—and hands-on craft activity—make these trail mix treats. Follow our creative and easy directions here and watch out: your butterfly snacks will fly away fast! This fun crafting and food combination combines two great activities into one good time for kids. Imagine them sharing their hand made projects and tasty treats with friends while they recall how fun it was to make. You may end up with a kid favorite project they’ll want to repeat every time they think of trail mix. After you’ve made the snacks in this month’s Snack Happy kit, print out the colorful snack packs. 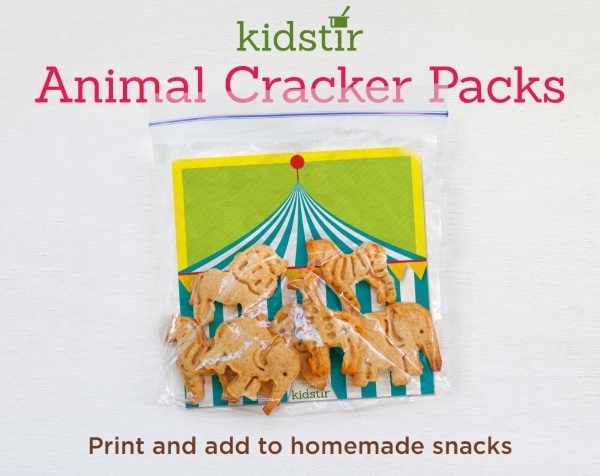 Make a Fish Bowl, Animal Cracker Snack Pack or a Power Munchie Pack. Take your treats on the go! It’s easy! Cut the pictures along the dotted lines and slide into sealable sandwich baggies. Zip up and enjoy. They’re perfect for birthday parties and camp days! Cut out the printed picture along the dotted lines. Slide the picture into a sealable sandwich bag. Slip in some Animal Crackers. Zip up the bag, and enjoy your snack on the run! Want to win a basket full of snacks that are yummy AND good for your kid’s tummy? 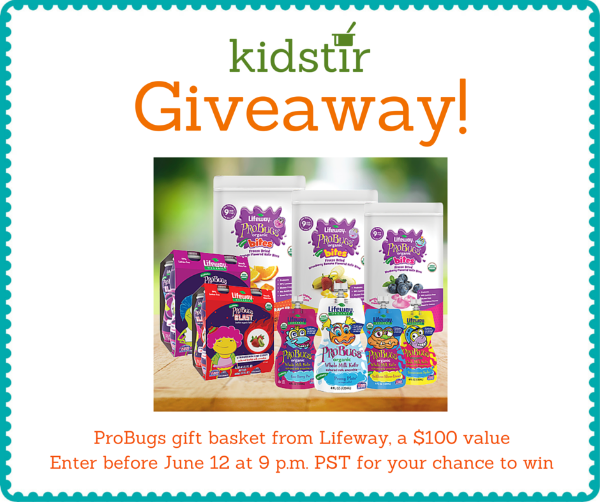 Our friends at Lifeway Kefir want to give our Kidstir community an amazing ProBugs gift basket! All organic, all for kids! Kefir is a tart and tangy cultured milk smoothie that is high in protein, calcium, and Vitamin D. You gotta try it! We can’t get enough! 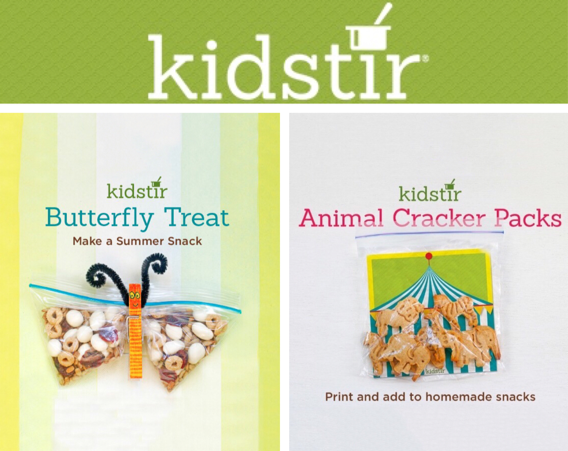 To win, visit the Kidstir Facebook page and share with us your kid’s favorite snack. We’ll announce the winner June 13th. Have a great week and Snack Smart!